Sophrology is defined as a personal training based on relaxation techniques and activation of the body and mind. The aim of this practice is to manage personal emotions and develop skills in any area of life. Through this practice one’s self-awareness is improved and one’s own resources are reinforced to establish positive habits and live serenely. 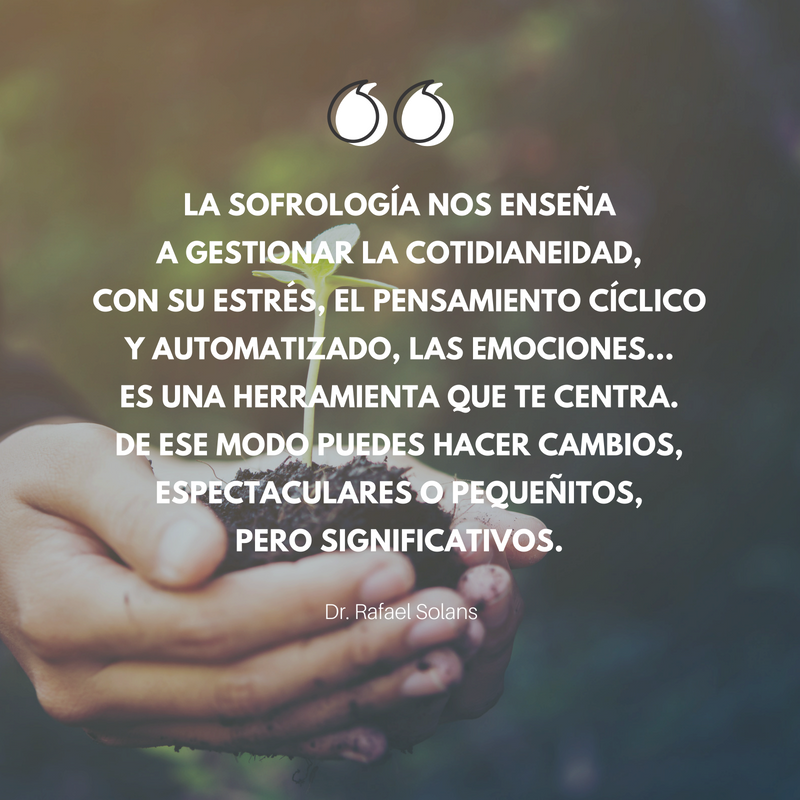 Sophrology was founded in Spain by the neuropsychiatrist Dr. Alfonso Cayedo where the human being is considered as a bio-psycho-social unit. It is a self-practice recommended for everyone that today has no contraindications and has spread quite widely in countries such as France, Switzerland, Italy, Belgium or Portugal in addition to Spain. For correct practice, it is health professionals who teach sophrology techniques such as doctors, psychologists, physiotherapists … Many of the daily ailments are related to factors such as stress or anxiety. Thanks to the control of these tensions thanks to sophrology techniques we will be able to help alleviate the effects of these diseases. Sophrology acts in all areas, be it in preparation for motherhood, the after-effects of a myocardial infarction, obesity or even palliative care in cancer patients. 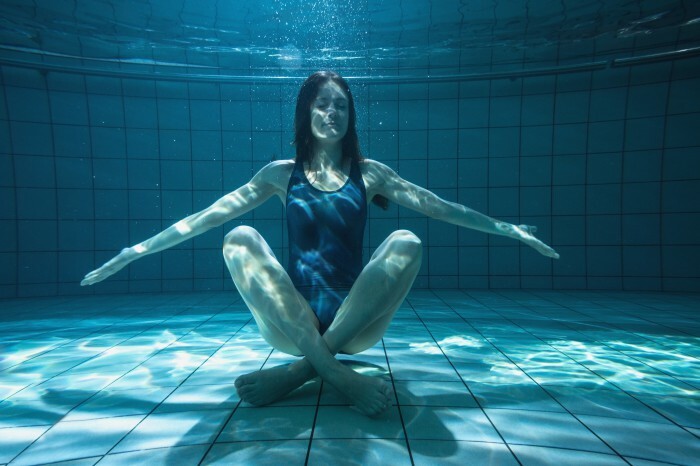 The sophrology method mixes exercises based on yoga, Buddhism, autogenic training, progressive relaxation and traditional hypnosis. The benefits of sophrology are present in the body, mind, emotions and cognition. Thus, you can achieve muscle relaxation throughout the body, regulate the nervous system by evacuating negative thoughts, manage and know personal emotions such as anger, hatred, sadness and improved concentration, memorization or imagination among others. The sophrology sessions last about an hour where you start by establishing the objective of the session, followed by a series of movements to eliminate physical tensions and control breathing, then you move to a phase of mental relaxation while lying down and from that moment the sophrologist has access to the unconscious and can modify some negative thoughts or behavior. At the end the session ends with a brief dialogue where the person expresses what he has felt in the session. Sophrology is also highly recommended for pregnant women because throughout pregnancy and childbirth the woman has to be active and relaxed. The objective is to achieve that the pregnant woman is serene to give birth improving the maternal-chilial bond, solve problems of back pains, insomnia, nausea, cramps and a better regulation of the hormones that generate stress improving the production of oxytocin which is the hormone inducer of the childbirth. There are two ways to practice sophrology: to oneself and with the help of a professional. We can relieve pain by exercising daily with the help of audios. It is about personal development: getting rid of dependence and asserting oneself against authority. To do this you need to isolate yourself for 10 to 20 minutes in a relaxed atmosphere and without distractions such as a telephone or open windows. With a professional, the state of consciousness is modified to face a particular situation or problem. Sophrology sessions are used to treat pain such as childbirth. Also to combat stress, anxiety or manage emotions (sadness, anger, dependence …). It is also very effective in cases such as depression, sleep problems, test preparation or even mental preparation for athletes. Sophrology should not be confused with hypnosis. The patient’s level of autonomy is different, and sophrology can be autonomous. Nor should it be confused with yoga, since sophrology does not have this religious characteristic and no postures are required. Sophrology is one of the most recent ways of relaxation where it is thought that the human being is in the world in three conscious ways: normal, pathological and extraordinary or sophrological. In order to practice it, it is necessary to have a deep knowledge of the human body, such as physiology or behaviour. The person must make a constructive self-criticism in order to find a solution to the problems he has. Once the evil has been analyzed, the physical and psychic faculties are strengthened in order to assimilate the problem that is happening to us. Thanks to sophrology we work with the powers of the mind that makes it possible for us to achieve everything we set out to achieve and to identify those fears that cause us to be paralyzed. With the relaxation techniques of the mind we can solve stress problems but above all it is the encounter with yourself and it is the moment in which you realize that you have all the tools and answers. This allows you not to make decisions because they ask or demand them, but because they will make you happy. In short, sophrology can be seen as a lifestyle. Sophrology works the emotional brain that functions differently from the logical brain. In a state of relaxation the logical brain stops thinking and it is there where we can work with the emotional one modifying habits or thoughts that are very anchored in our interior and that prevent us from evolving. In short, sophrology is a series of relaxation techniques that allow us to connect with a more emotional part of the brain and where all our fears and insecurities lie. Often these emotions generate stress or physical pain and through sophrology we can learn to control these situations and manage them effectively. The main objective is to be in harmony of body and mind in order to make the best decisions in our daily lives. In the case of pregnant women it is very effective to assume all the changes experienced by the woman’s body, create a stronger bond with the baby and alleviate the pains of childbirth by preparing her mind for this moment.